Stones have been used since the beginning of time in building shelters and decorative objects. Their resistance and beauty have always been acknowledged and appreciated. 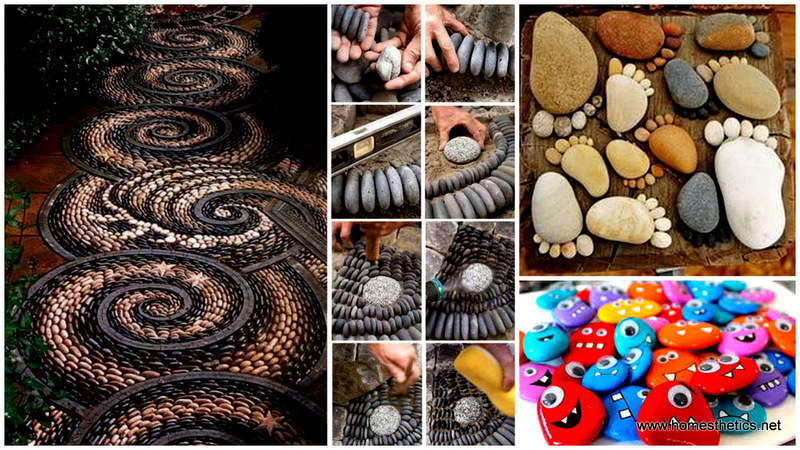 Easy to find and cheap as well, river stones can be used in a variety of DIY home projects meant to beautify your home and connect your interior design with the natural. If it’s a river stone mat and it’s not hard to guess what you need. Firstly river stones and a plastic mat. Place the stones on the mat and try to arrange them so that they fit together without huge spaces between them. Than you start to fix the stones on the mat by using a silicone sealer.